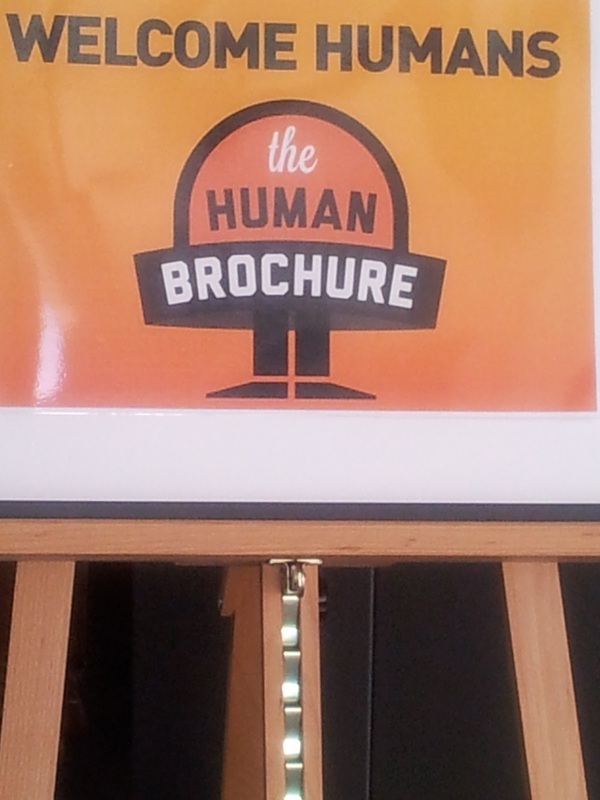 I am a human… brochure that is. A few months ago, I applied to take part in the ‘Human Brochure’ campaign run by Canberra Tourism. Out of 31,000 entries I was chosen to take part in the arts and culture stream. I was so excited because I had never been to Canberra and one of my passions are arts and culture. What a fantastic opportunity! I was so excited! So plans were made, forms filled out, children organised to stay at their Dad’s, animals furry sat and we were on our way. Well, once we got off the tarmac that was. 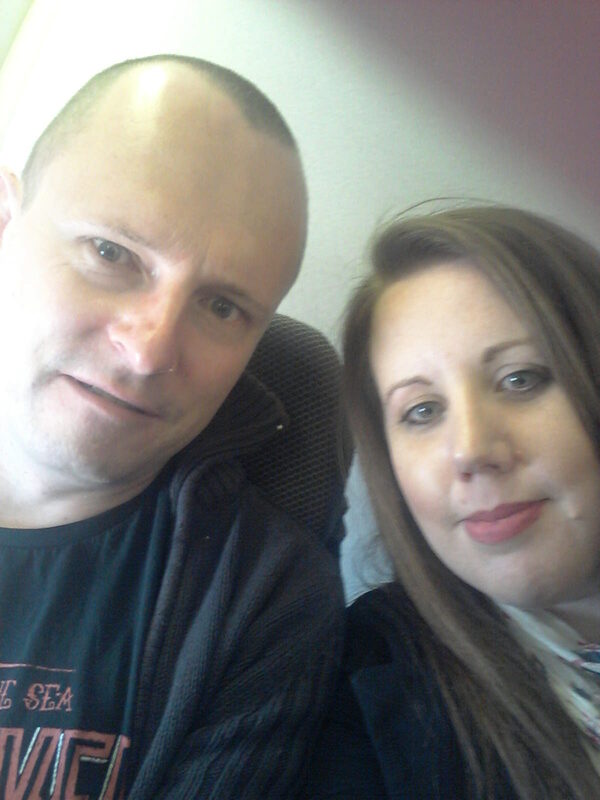 Our Qantas plane was stuck in line to take off from Melbourne. 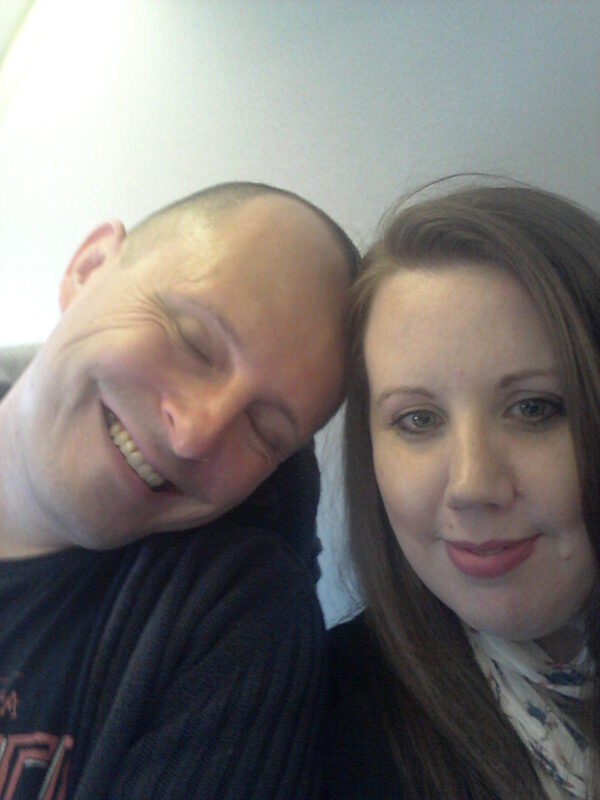 I get bored easily, so decided to take happy snaps of Duncan and myself waiting on the plane. Canberra. Let’s just say Duncan nearly wore the beef and pesto sandwich we had for lunch on the plane. 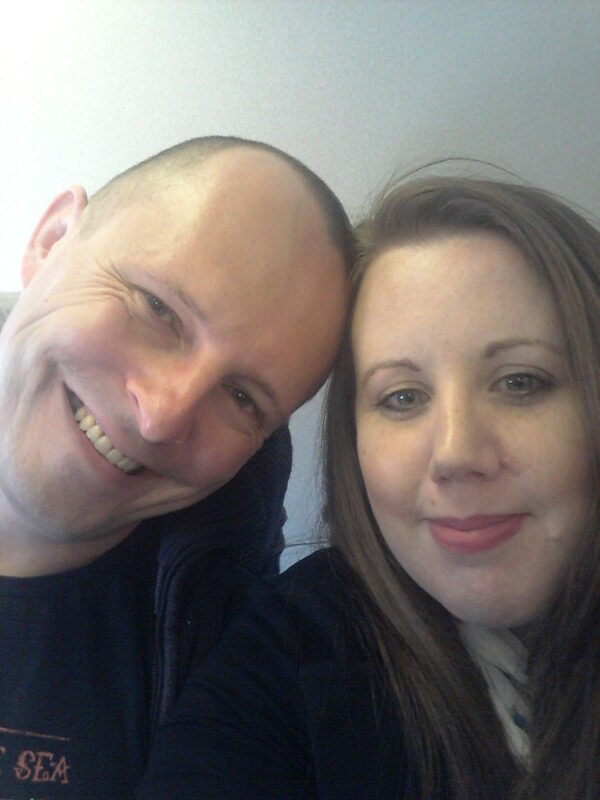 After waiting half an hour to get off the plane (yay for being in the back row… not! No, patience isn’t one of my virtues) we hopped onto the bus and off to the gorgeous Diamant hotel where a throng (ok.. a few) of local media were waiting for us. 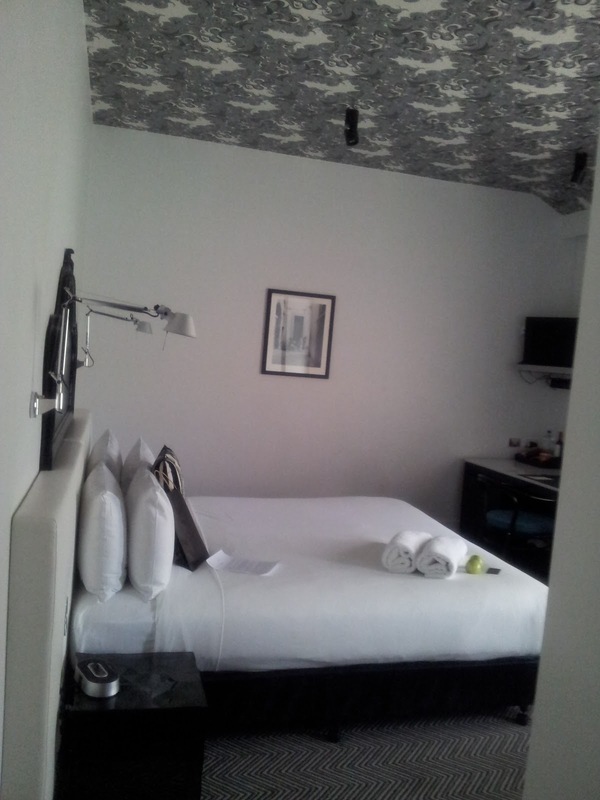 Check in and then up to the beautiful room. Isn’t the wallpaper on the ceiling lovely? I loved the monochrome look and the sink in the bathroom was marble surround with a copper basin which sloped toward the window, it had a channel along the back to the drain. Very clever and looked amazing. We even received Ferrero Rocher’s on turn down. The king sized bed was so nice! I could have stayed in it forever. I swear it was the best sleep I have had in quite a while. The staff from Diamant were so lovely, nothing was ever a trouble. 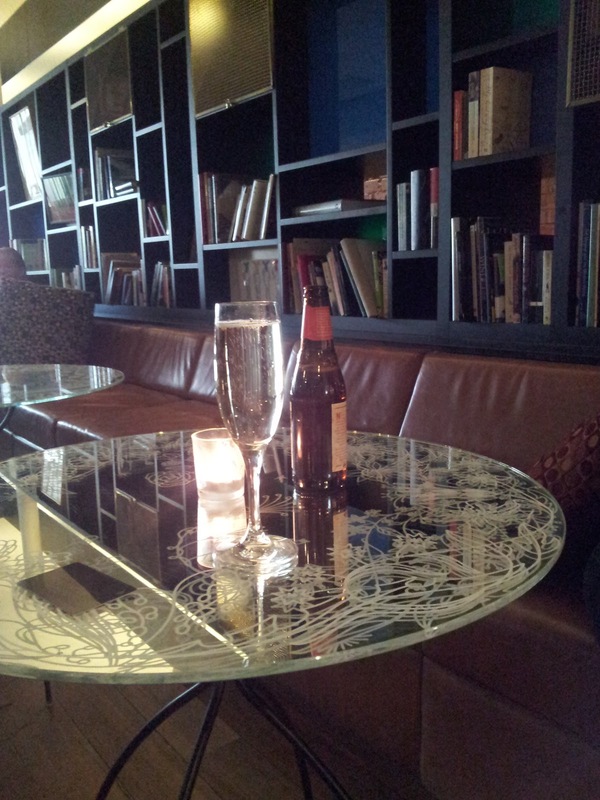 The piano bar and restaurant were really nice and so well laid out. The buffet breakfast was to die for and I got to play with a HUGE Nespresso machine. This girl was in food and coffee bliss! The whole experience impressed me so much that I’m staying in another of the 8 hotels hotel, Park 8, in a few weeks when I visit Sydney for four days for work. Can’t wait to stay there, it looks lovely and a 24/7 cafe and expresso bar… heaven! OK, enough raving about 8 Hotels, onto what we got up to! In the hotel room, we found passes to the National Gallery Australian to see the Sydney Long exhibition. I’m not a fan of the contemporary or abstract art, I’m more of an impressionist kind of girl, so I really enjoyed it. 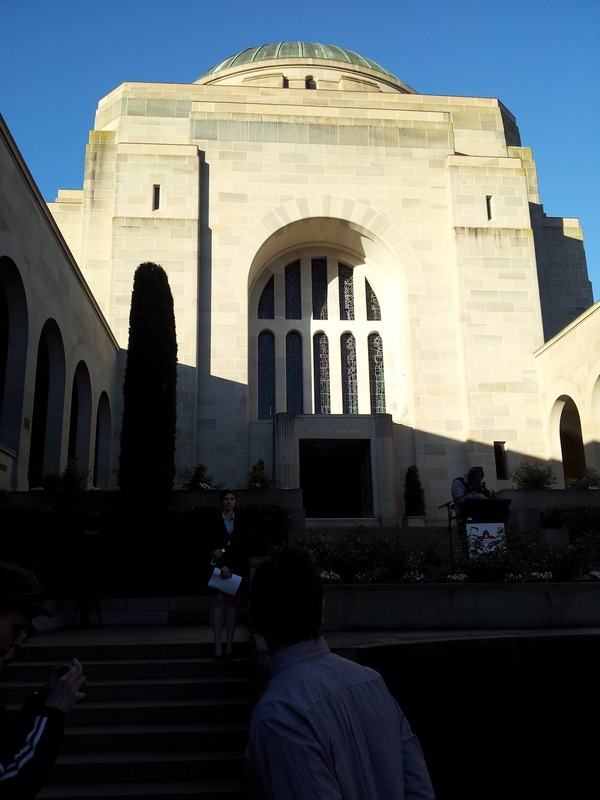 That night we were off to the Australian war memorial for drinks, canapes and a meet and greet. So much food and drink!! We were well catered for, that is for sure. What a lovely night we had and it was nice to catch up with some people I had known from the social media universe. Next time we go to Canberra, I would like to see that War Memorial properly. I’m sure the boys would love it. Saturday morning it was hard to get out of the comfy king sized bed, I could have stayed in it all day but duty called and we headed down to an amazing breakfast buffet and I had fun playing with and learning about the huge Nespresso machine. We headed out to meet the rest of the Arts & Culture peoples and were bused off to the National Australian Museum. I must admit the museum didn’t really do much for me but the boys would have loved it. Australian history and memorabilia, restored pieces, Pharlap’s heart etc. It is definitely worth going to if you have children or you are into history. 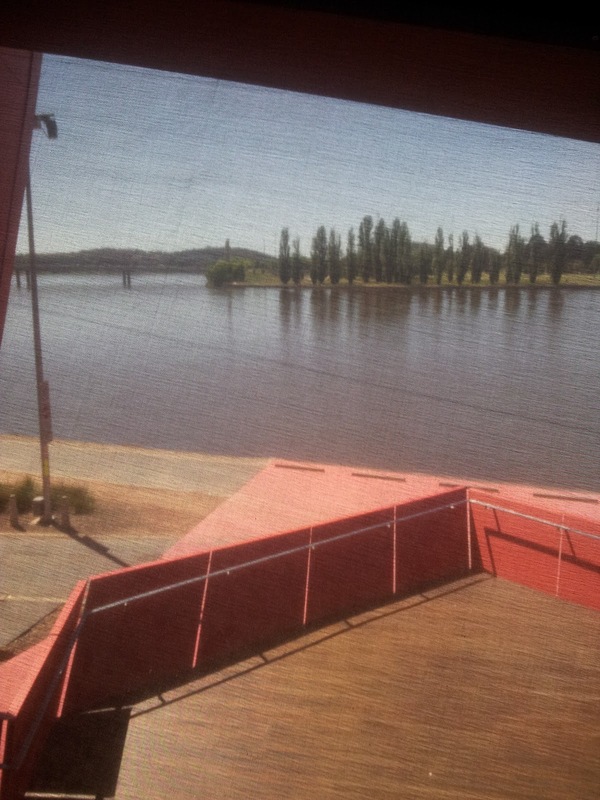 I think we enjoyed walking around out the front more, in the sun, enjoying the view over Lake Burley Griffin, while savouring a cappuccino from the Museum cafe. Next stop was the very impressive Two before Ten cafe. For a coffee fiend and foodie, this place is pure heaven! Two before Ten roast all of their own coffee and have their own computer driven coffee roaster, which was very cool and it was interesting to see how the whole process of roasting coffee beans happens. Yes, I had another two large cappuccinos while we were there, it was a wonder I wasn’t hyper from all the coffee I had consumed that morning! 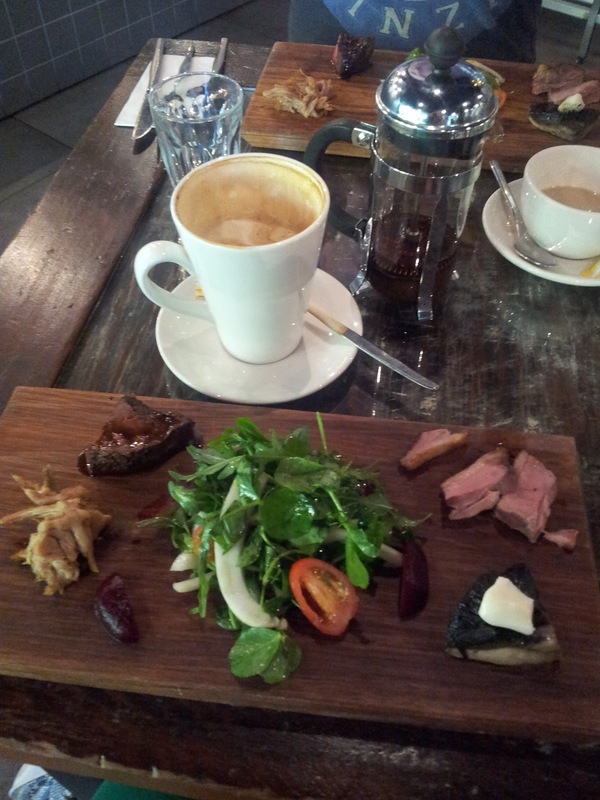 For lunch we received a tasting plate of the delicacies Two before Ten has to offer. The coffee and chocolate sauce on the wagu beef was amazing!! Who would have thought coffee and chocolate sauce would go with beef? Truly, it was amazing and I want the recipe to make it myself! I loved every selection on the board, it was so yum. After viewing how the roaster worked and we were given a sample bag of Two before Ten’s coffee beans, we headed off to the National Film and Sound archives. Admittedly, I wasn’t expecting to like this but I actually thought it was really interesting. We got to see how the dedicated employees restore and save film and sound from years gone by. There was also a cute market, a cafe and band on in the beautiful courtyard. Definitely worth a visit. Since it was a gorgeous day, Duncan and I decided we would walk back to the Diamant Hotel. When we got there we noticed a market running along the side of the hotel. It was an eclectic mix of crafts, food etc. Very casual, cruisey feel to it. I even smelled someone smoking some pot! Back to the hotel, we rested for a while before getting ready to head out to dinner at Ginger restaurant, which is located in the old Parliament House. We had a choice of three meals from the menu. I had: pork belly, spicy blackcurrant, apple, walnut, celery leaf, prawn bisque; twice baked vanilla and adel blue cheese soufflé with grape, walnut and watercress salad and chocolate beetroot tart, vanilla anglaise, liquorice ice cream with matching wines. The food was lovely and we really enjoyed the food, wine and company. One of the matched wines piqued my interest, it was really nice and the bottle was very cool. 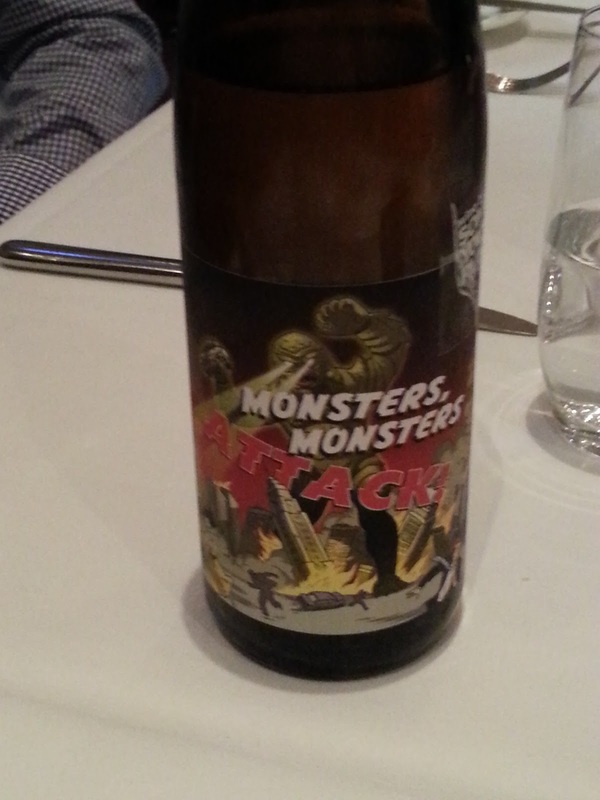 Meet “Monsters monsters attack Riesling” by Some Young Punks winery. I’m heading to Dan’s soon to see if I can get some! After all that wine, I needed to go to the ladies (as one does) only to get lost because the old Parliament didn’t cater for females and lacked somewhat in female amenities. Once I found my way back to the restaurant, everyone had left. I was the last one on the bus! How embarrassing! Being the old fluffs that we were, we decided to go back to the hotel and not go out with the young uns. Day 3 was set to a gorgeous but cool sunny morning in Canberra town. Breaky downstairs at the hotel (yum!) and then off to the Australian National Botanical Gardens. Now this was my kind of Sunday morning! A picnic rug, picnic pack with delicious food, sun, music and coffee. Bliss!! It was nice chilling out to the music and lying in the sun (OK, for we Melbournites, we take any chance to catch some vitamin D very seriously!). The botanical gardens were absolutely gorgeous. 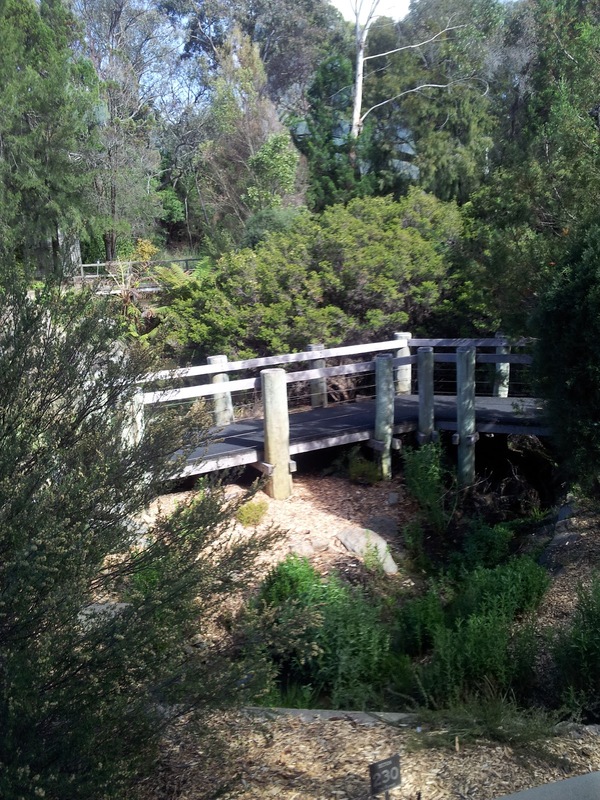 I loved how they have used native plants in the gardens. Just gorgeous! I would love to go back and have a proper walk around the gardens and take it all in properly. It was lovely. Back on the bus and we were off to the Old Bus Depot Markets. 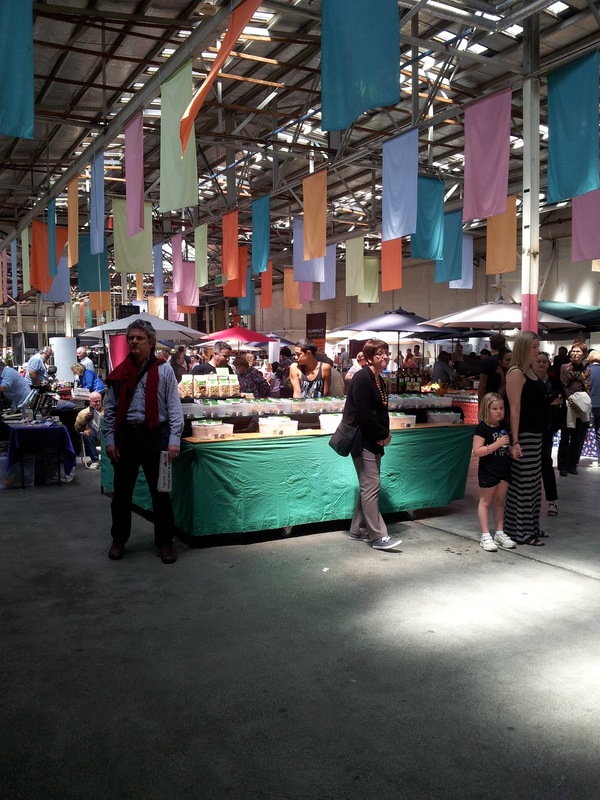 Cute markets with a wide range of craft, food, plants, jewellery, clothing, homewares, antiques and a lot more. Definitely worth a look. 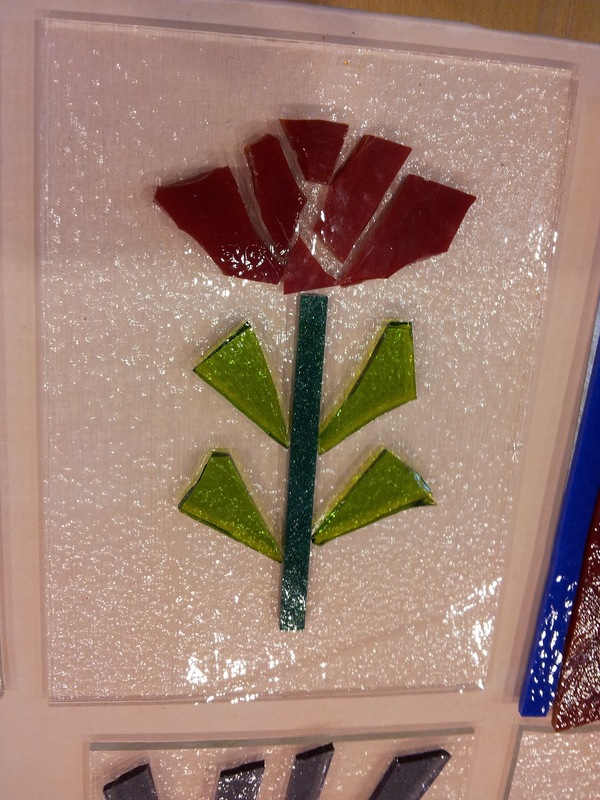 Next on the agenda was Canberra Glassworks. Set in an old, refurbished power station, Canberra Glassworks is a space for artist to hire and use to create their own gorgeous works of art. All in all we had a lovely weekend and I would like to thank Australian Capital Tourism, for the opportunity to experience Canberra. I was very impressed and can’t wait to take the boys there. I am sure they will love it.